This choker features the classic 8-strand kumihimo braid with the addition of some gold glamour. Several readers have reported a difficulty finding rattail kumihimo cord. This necklace will remind you that you can use other types of stringing material to make a unique kumihimo braid in your Dazzle-it disk. You can see here that I used traditional rattail but also added cotton wax cord and a gold specialty braid found in the ribbon department of my local craft store. When the braid was complete I added the end caps and then my lightweight aluminum chain. The new aluminum chain in the catalog is available in several sizes and colours. Kumihimo braids will always look different if you add in fibers that are unexpected. 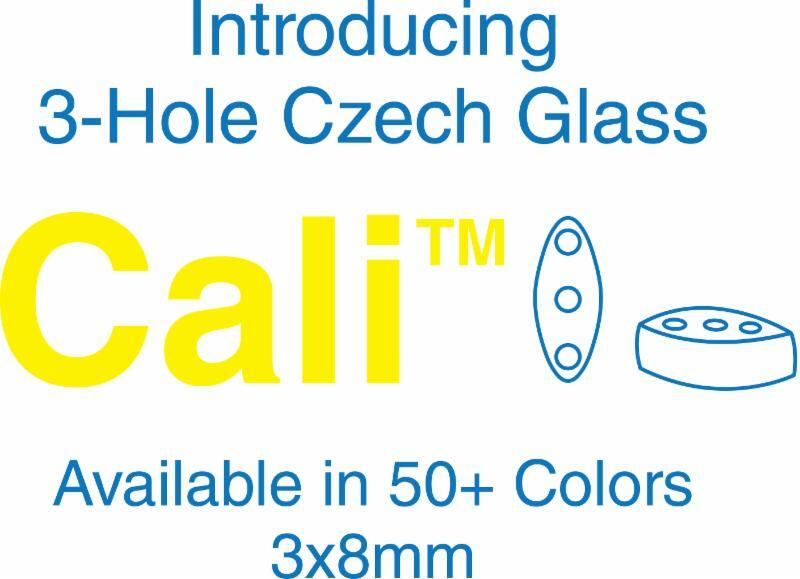 End caps can be purchased in various sizes. The largest one finished this necklace beautifully. Shiny, Glittering Chain Necklace by Carmi Cimicata For Dazzle-it and John Bead Corp. 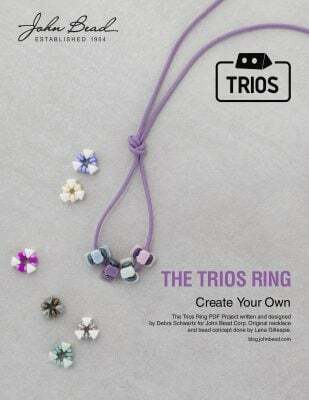 The current issue of Perles et Cetera features a necklace that will be perfect for spring/summer 2014. The article is in French, so this is the English translation. 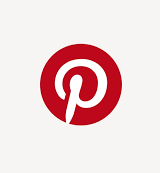 The trend I have focused on is one that Women’s Wear Daily called “The Shining.” The shiny trend can be seen in fashion with the addition of many shimmery, glittery, light catching and metallic accents. 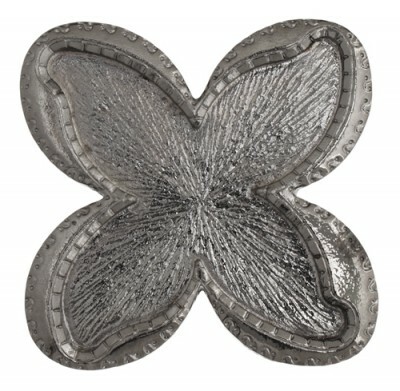 Many piece are reflective. This shiny trend adds a bit of brightness to clothing, shoes and accessories. Seeing something shiny and gleaming is what we need when we are in the midst of a long dark winter. 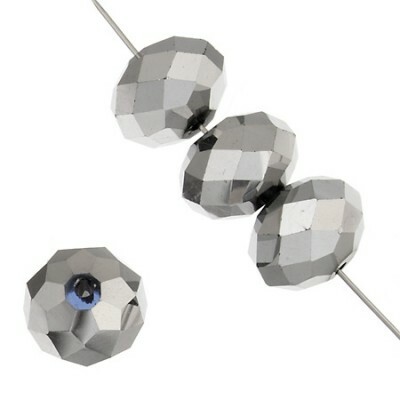 With SHINY in mind I was very attracted to a new type of cut chain from Dazzle-it called Neo Chain. 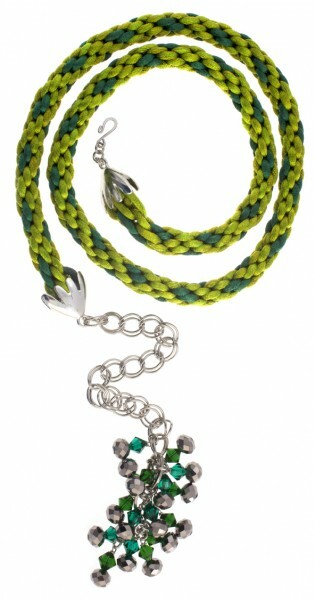 The chain is available in vivid and eye-catching colours and is a wonderful addition to jewelry design projects. Dazzle-it Neo Chain glitters because the cut in the chain exposes the brass beneath. It sparkles without even trying! 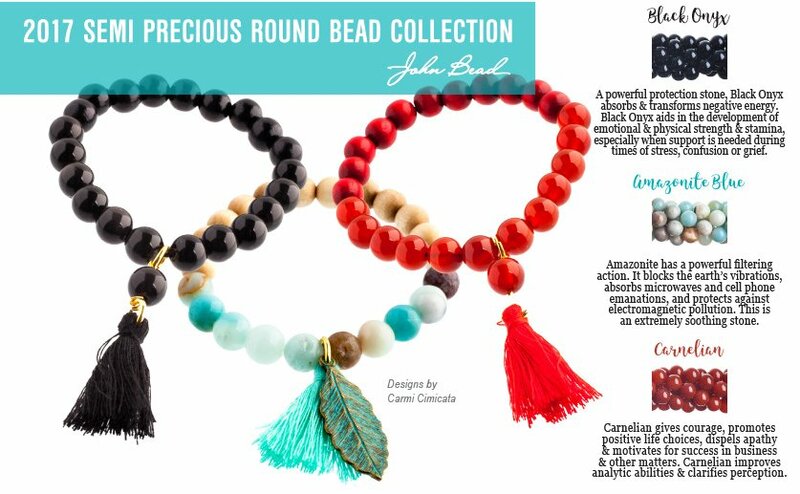 John Bead also sells a grouping of specialty-beaded chain. 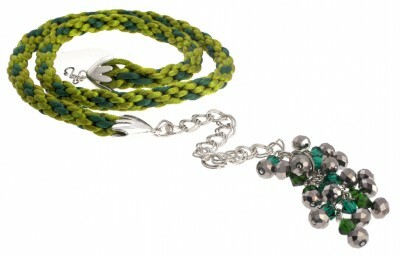 These chains are often used by rosary makers and are available in virtually every colour in the rainbow. I selected beaded chain to match my Neo chain. Together I was able to create my choker length necklace. The cut in the Neo chain is what gives it the glittery appearance. Working on a design bead board made it really simple for me to cut all the chain I would need at the right length. Neo chain cuts very quickly with a side cutter. 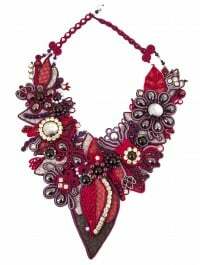 The beaded chain does not require cutting. I used a round nose plier to open and close loops for each section needed. 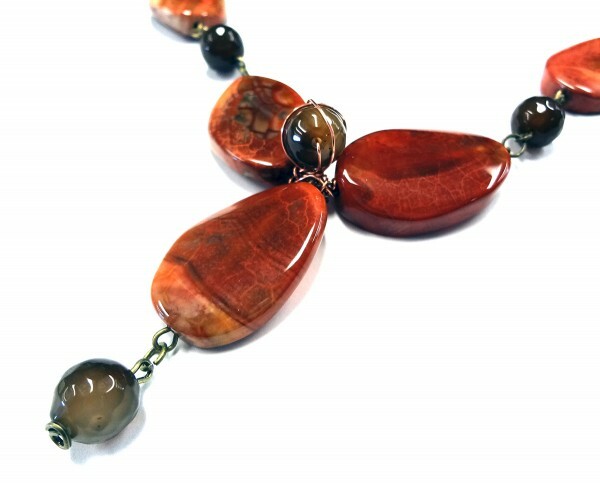 Once you choose your colours it takes no time at all to make this necklace! I laid my cut pieces side by side to see how they would look once it was all connected. I loved all the glitter from the Neo Chain. Neo Chain also has matching components. Pink, purple and turquoise jump rings finished my ends beautifully. My last step was to simple join the three colour strands with an extra jump rings and add my matching lobster clasp. 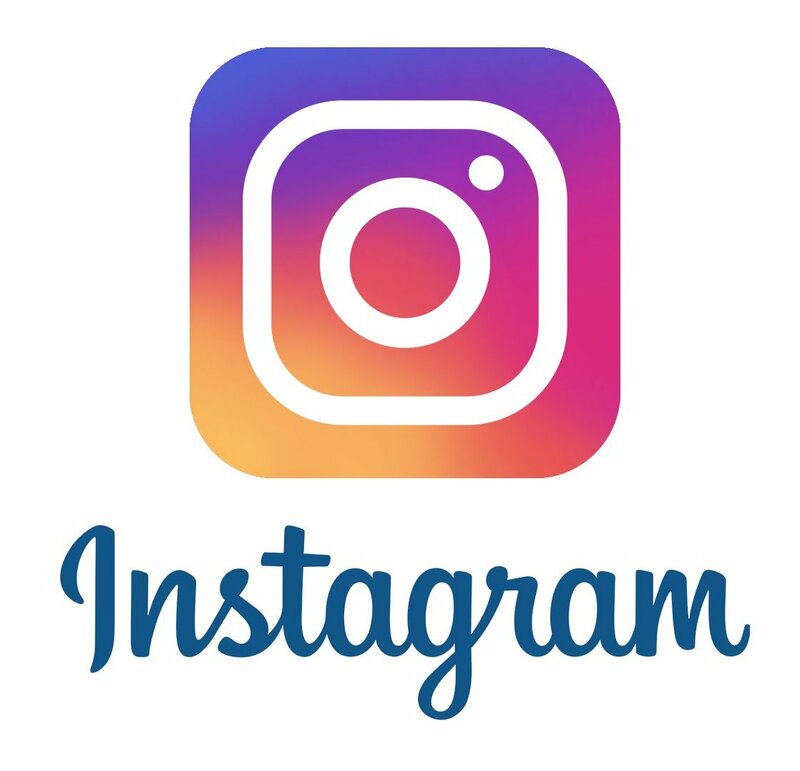 This is truly and quick and easy project! This shiny necklace will be perfect this spring. Making earrings and bracelet to match will take no time at all! For more Neo Chain ideas you can click on this link. 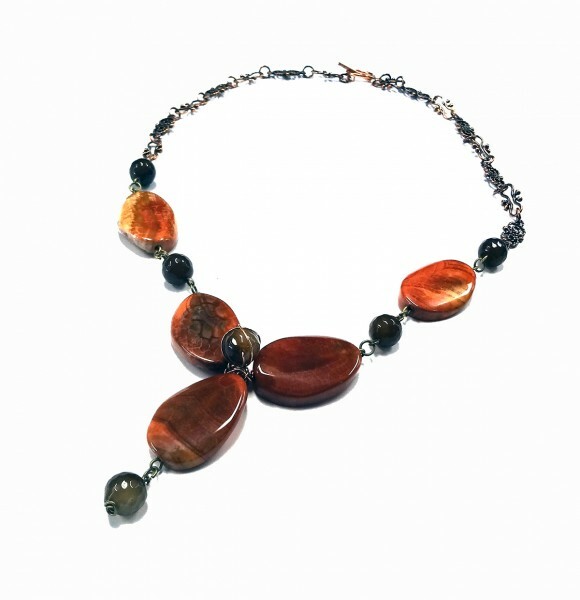 This new necklace was created by Nancy Donaldson in my studio this week. 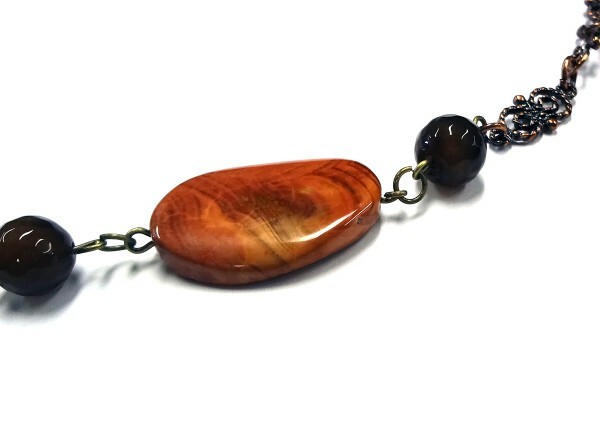 I asked her to take a look at all the gorgeous new Fire and Ice Agate beads in my studio and she could not resist creating something special. 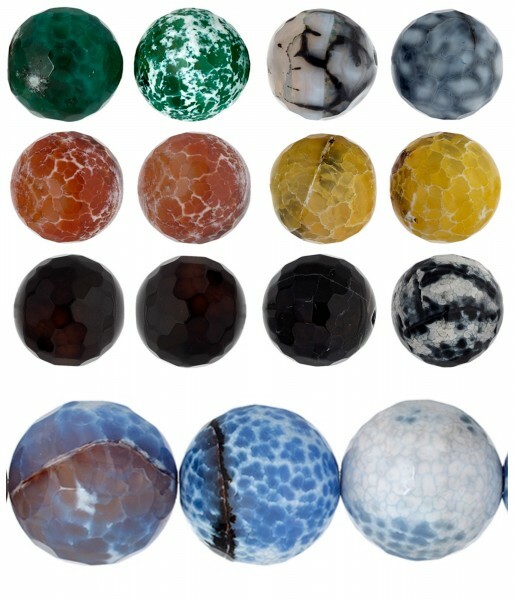 The Dazzle-it Fire and Ice Agate beads are all different. 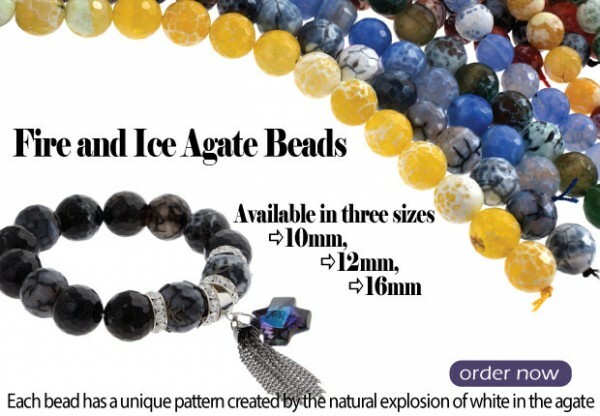 Each bead has a unique pattern created by the natural explosion of white in the agate. It had not occurred to me to mix and match colours. The carnelian and topaz looked wonderful together. She did some simple wire wrapping to create the focal piece. Here is a closer look at her links. 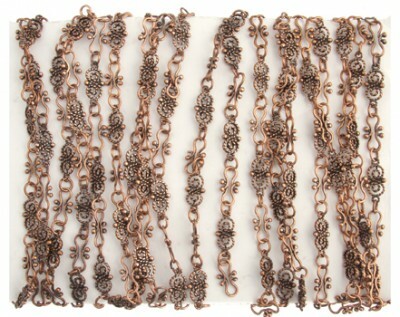 She used Dazzle-it antique copper Fancy Chain to finish the necklace. 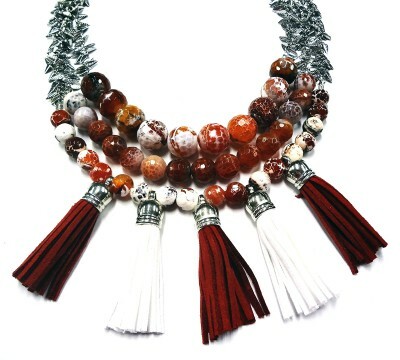 The new Dazzle-it Fire and Ice Agate Semi-Precious Facetted Dye Beads are stealing the show on this new necklace. 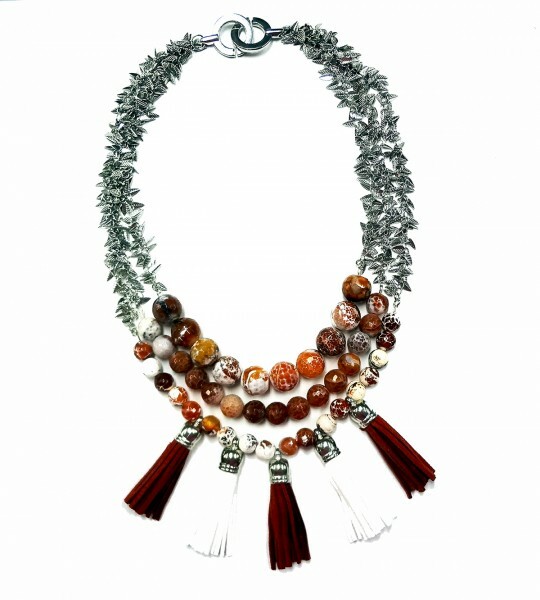 This necklace uses three of the new products we launched this month: Fire and Ice Agate beads, Faux Suede Tassels and Fancy Chain. My colour choices for Fire and Ice are gorgeous! I used red and white faux suede tassels. I had several options for my chain. 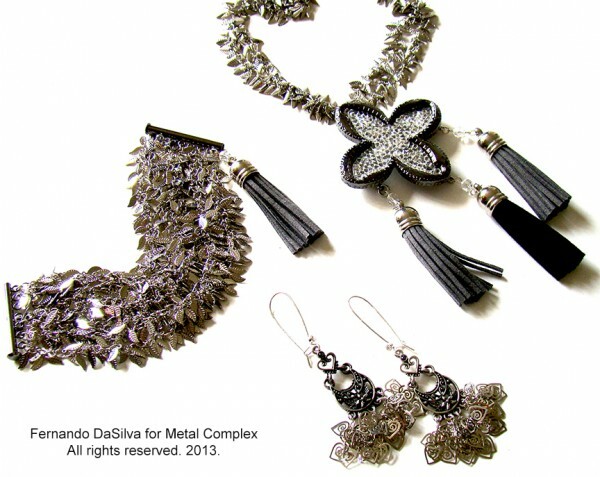 This is our new Fancy Chain collection. Three strands per side of Fancy Chain gave this necklace a very rich and finished look. 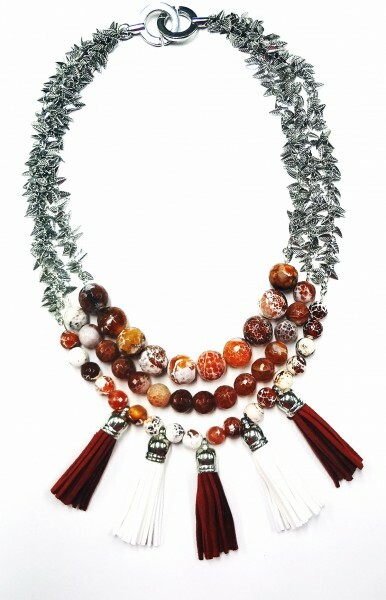 I just love everything that Fernando DaSilva used to create this new necklace! I hope it inspires you as much as it does me. 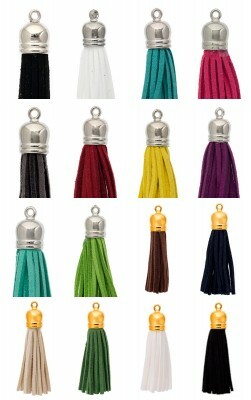 Now I really want to start adding our new Dazzle-it faux suede tassels to my design projects! Here is what Fernando used to create this necklace. 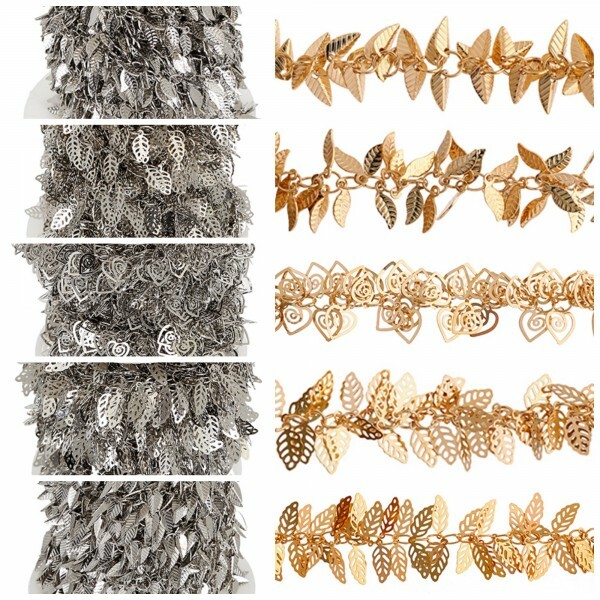 The new silver leaf fancy chain. I see Fernando combined two strands to make the one thick chain. Black faux suede tassel with silver cap. 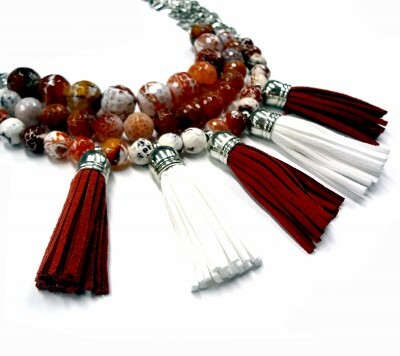 The complete Dazzle-it tassel collection is just wonderful. Think of all the colour options! 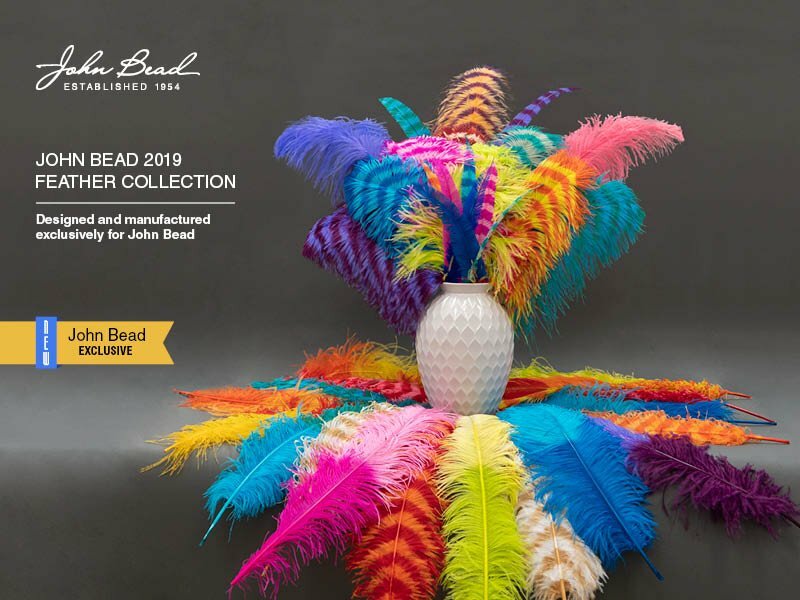 It goes without saying that Fernando DaSilva is always the first person to test and experiment with new products arriving into the John Bead warehouse. As our Product Development & Creative Manager, Fernando is who I turn to for inspiration and how-to ideas. 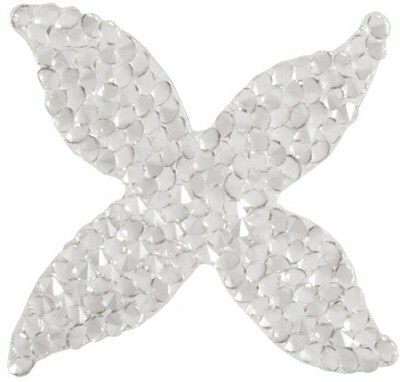 These Fancy Chain pieces make it clear that our new line of Dazzle-it chain can be used to create the most wonderful jewelry! 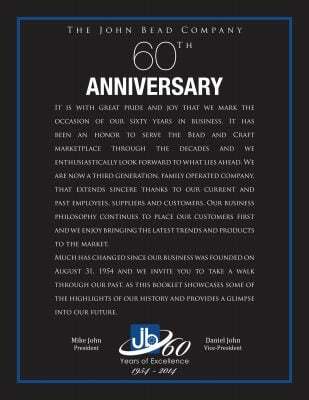 You are getting a sneak peak at jewelry that will either appear in our catalog on in the John Bead showroom. 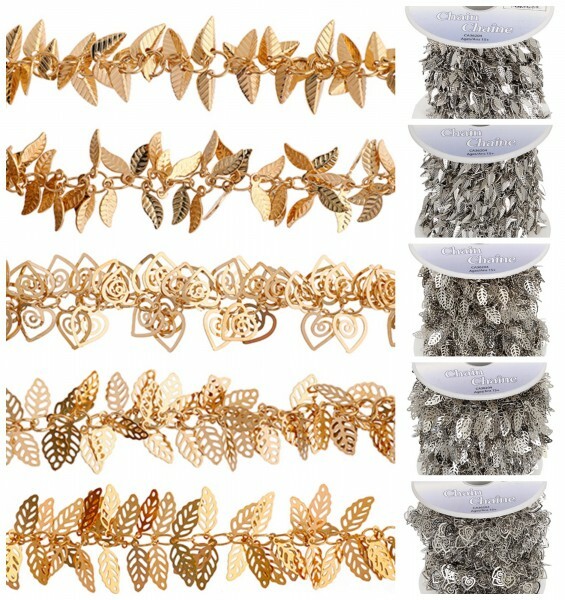 If you missed our announcement yesterday, this is the new collection of Dazzle-it Fancy Chain. 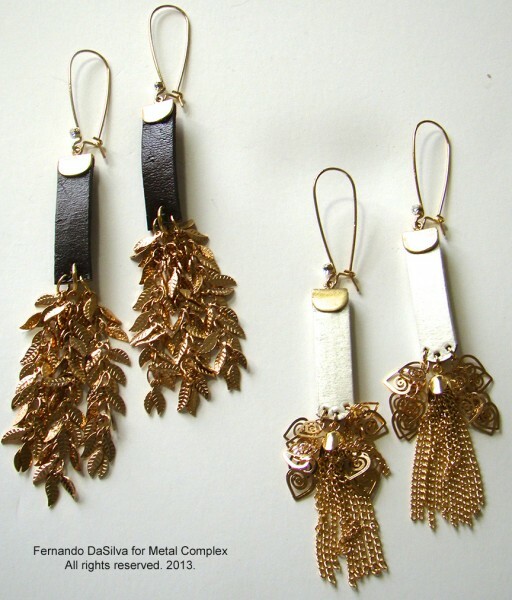 Fernando cut various lengths of Fancy Chain to create these earring sets. In the necklace and bracelet above you can see how spectacular this chain looks when placed in a tier or side by side. The cascading chain looks so rich! 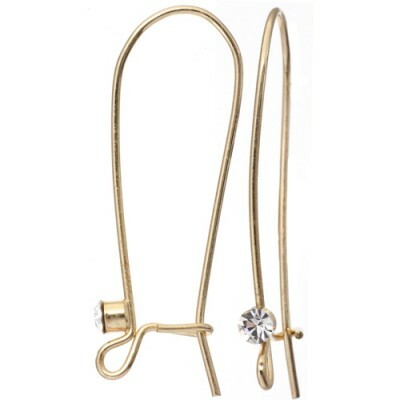 Fernando also used our kidney ear wires with rhinestones for his earring samples. 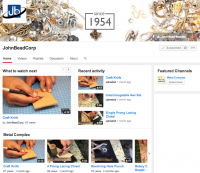 I see that he even added extra seed beads….a tip I will remember! 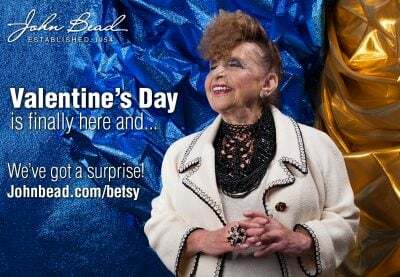 I’ll tell you more about the tassels next week! 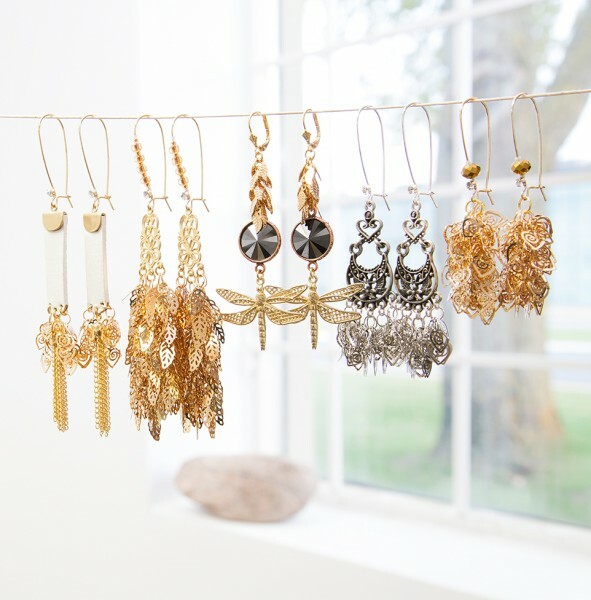 These earring are so new and fresh! They were all designed for the launch of this new collection by Fernando DaSilva. 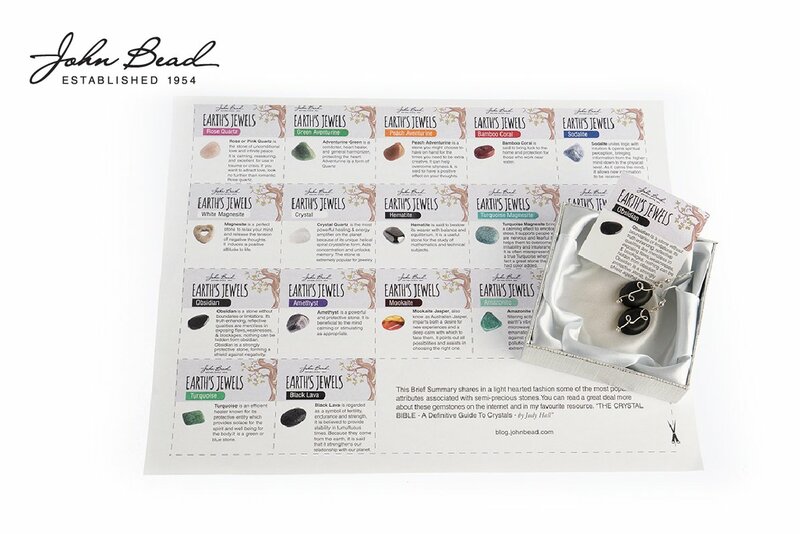 They feature our new fancy chain collection. 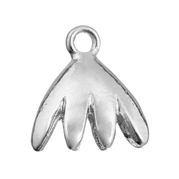 Chain-Leaves 3x9mm. Available in Gold and Silver. Chain-Leaves 4x7mm. Available in Gold and Silver. Chain-Filligree Hearts 7x8mm. Available in Gold and Silver. Chain-Filligree Leaves 5x9mm. Available in Gold and Silver. 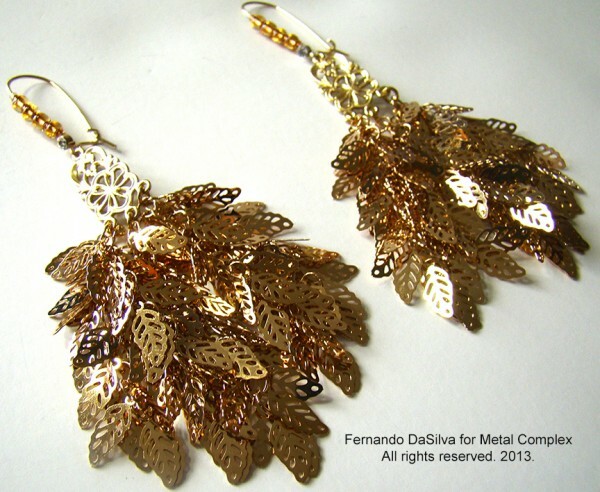 Chain-Filligree Leaves 5x12mm. Available in Gold and Silver. What a pleasure it is for me to post this sample today. I am going to use a word I have never typed on this blog before: BELT! And finally, a combination of 2mm and 3mm Green Dazzle-it Rattail.